Several factors can result in your teeth not looking their whitest. Consumption of dark fluids such as tea, coffee, and wine can stain teeth. Teeth also darken with age, and smoking can be a factor. 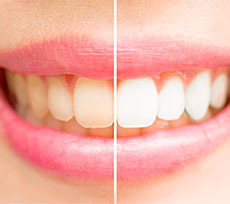 One of the ways to bring your teeth back to their original whiteness or even brighter, depending on your unique situation is with inexpensive professional teeth whitening. Only a dental professional will be able to most effectively guide you in attaining a whiter smile. Existing fillings and crowns will not whiten like natural tooth structure. We are happy to assist you in understanding how to achieve a whiter, brighter smile. Our teeth whitening process allows us to get accurate impressions of your teeth, and our whitening trays are customized to fit your teeth. 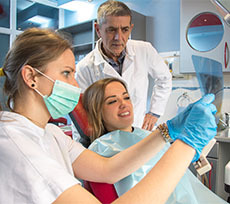 You will find our bleaching trays are much more comfortable than over-the-counter bleaching systems and will most efficiently whiten your teeth. Dental implants are quickly becoming the method of choice to replace missing teeth. Dental implants have become a straight forward procedure with a proven track record. Implants are very natural looking and will function like a normal tooth. After a visit to the oral surgeon and placement of a titanium implant similar to the roots of your teeth, Dr. LeMert will restore the missing tooth which will allow you to greatly improve your chewing ability. 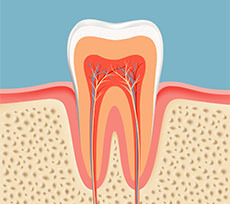 Severe tooth decay and resulting infection is the most common reason for needing a root canal. After Dr. LeMert ensures that the affected tooth is completely numb he will remove the dead or dying nerve tissue. This procedure will help alleviate the pain and infection. The canal will be reshaped and filled with a material to prevent future infection in the tooth. By performing this procedure we will be able to help you keep your natural teeth. Dentures are used to replace all top or bottom teeth when dental disease renders those teeth unable to be restored. Dentures are a removable option that is typically taken out at night time to allow maximum health of your gum tissues. 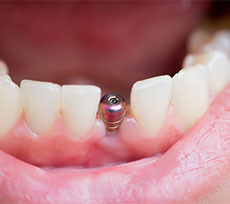 Partials are sometimes a logical option used to replace several missing teeth in one arch. Like dentures, partials are typically removed at night and worn during the day. Partials allow you to keep healthy teeth and chew better where you might have once had difficulties. Dr. LeMert works hard to customize each treatment plan to meet the patient’s needs and desires. 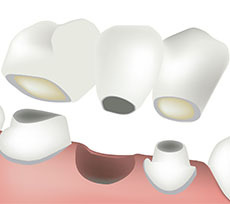 Bridges are another method to replace missing teeth as are implants and partials. Bridges are permanent, esthetically pleasing and allow you to chew properly. Bridges fit over your existing teeth and will last for years with the proper preventative care. Depending on your needs and desires, a bridge may be the best option to restore a missing tooth. A crown may be needed when a tooth is fractured, has extensive decay or when a filling is not adequate to ensure that a tooth will last long term. A crown is a cap that covers the entire tooth and helps to strengthen the tooth and reduce the chance of catastrophic fracture. Dr. LeMert will consult with you and outline a personalized treatment plan that is needed to achieve your desired results. 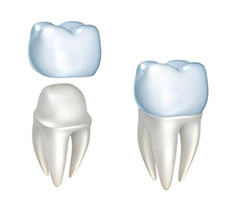 We offer a wide range of esthetic options to fit your personal needs. 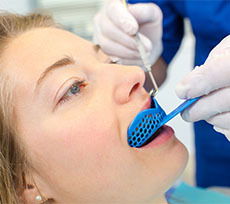 One of the most commonly needed procedures is a filling. Once tooth decay has gained a foothold on a tooth it will continue to progress unless cleaned out and the area repaired. We offer beautiful esthetic tooth colored fillings that will look and function like, a natural tooth. We also offer traditional metal fillings which some patients opt for because they tend to last longer. Dr. LeMert will only use metal fillings if a patient chooses so and then only on back teeth where they aren’t noticeable. Fillings will be performed only after the tooth is completely numb. Your comfort is very important to us. Even with proper brushing and flossing it is still important to get your teeth cleaned. Over time bacteria will colonize your tooth surface. Naturally occurring minerals in your saliva will calcify in this bacteria forming hard tartar build up. This tartar is very irritating to the gum tissues and bone that holds your teeth firmly in place. The tartar is so hard that you cannot remove it with a tooth brush or dental pick. When you get your teeth cleaned we will remove all of this destructive tartar. At the Randle Dental Clinic we have a friendly, experienced dental hygienist on staff to clean your teeth and help keep your mouth healthy. 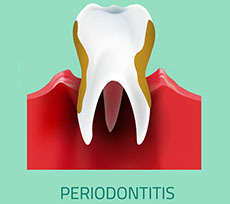 Periodontal Disease is characterized by inflammation and infection of the gums and results in the destruction of the tissues that support your teeth. When destruction of the bone around your roots occurs a deeper cleaning is required to combat against further bone loss. 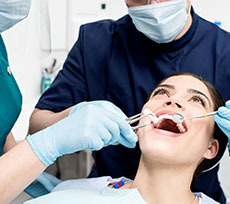 Our hygienist will be happy to anesthetize areas that need a deep cleaning to ensure that you are comfortable. While the presence of tartar below the gum line can predispose you to periodontal disease other factors will be taken into account as well in formulating your treatment. These include; diabetes, pregnancy, poor oral hygiene, family history, certain medications and systemic disease. 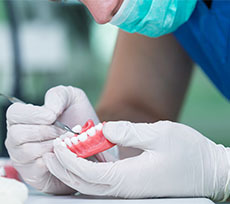 If you are experiencing pain in your jaw when you open or close, have been grinding your teeth or have excessive wear on your teeth, you may benefit from wearing a bite guard. Bite guards fit over the upper teeth and snap into place. Typically these appliances are worn at night when grinding and clenching occur unbeknownst to us. Dr. LeMert will be happy to assist you in getting the appliance that most fits your needs. At the Randle Dental Clinic we love kids and recognize that kids are not just little adults. Kids have special needs and require treatment be conducted in a unique way. Our entire interaction with children is geared to be a gentle experience that doesn’t push the child beyond what they are developmentally ready to handle. 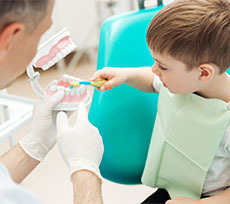 When needed, appointments are kept short and sedation is sometimes used after evaluation and discussion with the parent. At exam time we will take the minimal amount of x-rays required for proper diagnosis of dental disease. 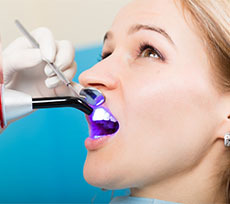 A full oral cancer screening will be conducted as well as an evaluation of occlusion and your TMJ. Dr. LeMert will then discuss with you what this information means and any recommended treatment. All treatment options will be discussed between you and the dentist to allow you to make the right decision for your mouth.